By Cecilia G. Manrique, Ph.D.
Who would have thought that a vertically-challenged woman from a third world country could reach this level of responsibility as President of the International Leadership Council of the Golden Key International Honour Society? When I left the Philippines with merely two suitcases to study in the United States almost thirty years ago, that was the furthest thing from my mind. I did not grow up wishing I would become President of anything, although President of the Philippines could have been every Filipino child’s dream. The sense of importance and responsibility in this position trumps the prestige of having been President of the Computers and Multimedia (now Information Technology and Politics) Section of the American Political Science Association in 1995. A confluence of events made such a Presidency possible for me. In 1991 when I moved from the instructional computing field back into the realm of teaching political science, the University of Wisconsin-La Crosse was fortunate to hire their very first woman Chancellor, Dr. Judith Kuipers, who also happened to be a member of the Board of Directors of the then Golden Key National Honor Society. One of her main goals was to form a chapter of Golden Key on our campus. One of my students at that time, Annette Chadwick, was involved in organizing the chapter and asked if I would be interested in serving as the faculty advisor. I can say that that is one YES (like the Yes I uttered in marriage) that I would not regret. By 1992 a Golden Key chapter was chartered at UW-L and we were on the road to glory. Together with my then co-advisor Chris Bakkum and now Carla Burkhardt we built a student organization from the ground up to one of the most successful chapters in the country and the world as evidenced by the Key Chapter Awards we obtained at almost every international conference after our first year as a chapter. Our students, numbered among the top 15 percent of their junior and senior classes, not only excelled in the classroom but in the field of community service and leadership as well. We cleaned our stretch of the highway for Adopt-a-Highway. We collected books for Books for Africa and with the help of Fastenal Corporation delivered them to St. Paul for shipment to various English-speaking countries in Africa. We collected pop tops for the Ronald McDonald House. We engaged in volunteer work for the Salvation Army, nursing homes, local schools, literacy efforts, etc. As a result of our work we have time and again been given outstanding honors including the outstanding advisor and organization ones at the annual Celebration of Involvement on campus. 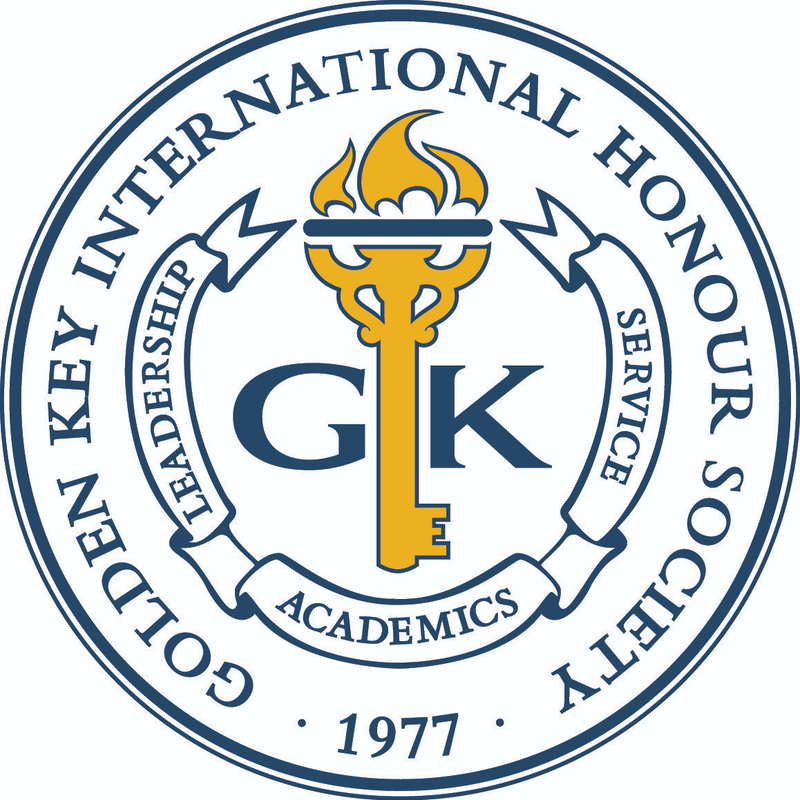 Membership in Golden Key not only provides our students with leadership and volunteer opportunities, but there are also scholarships, internships and networking benefits that accrue to members. That is the reason why I enjoyed steering our chapter in that glorious model chapter direction. Our students also have the opportunity to attend regional and international meetings held all over the country. So we have taken students to Los Angeles, Chicago, Dallas, Orlando, Atlanta, Scottsdale, Washington, D.C., etc. The organization has also grown so that we have chapters and members in Canada, Australia, New Zealand, Malaysia, South Africa, and Dubai. That is why it is now the Golden Key International Honour Society. It was during one of these international conferences that Dr. Judith Kuipers had indicated to me that she envisioned me standing in front of the podium as President of the Council. I just smiled at her and said to myself, “Yeah, right!” It was in the year 2002 that I tried my hand at running for the position of Secretary of the Council and won. I completed a three-year term and then ran for re-election. Due to by-law changes I had the opportunity to run for President before completing the last year of my second term. I put in my name for the position thinking that my chances were slim with many other candidates. However, I got a majority of the votes so here I am– President of the International Leadership Council of the Golden Key International Honour Society and Member of its’ Board of Directors. The position has its sources of prestige and honor. For the first time my work with the organization was acknowledged at the beginning of this semester in the Chancellor’s address to the university. I have also had the opportunity to meet, speak with and learn from famous people like Thomas Sutherland, Henry Winkler, Coretta Scott-King and Peter Hillary to name just a few. And some of their stories have graced my lectures in the classroom. I have the pleasure of rubbing elbows and locking brains with the most talented minds in academia and the corporate world when I sit in Board of Directors meetings. Aside from seeing my name and signature on thousands of certificates being distributed to members of the organization which my children get a big kick out of (even more now that it is no longer the Secretary title but the President one under it), the thought of representing the advisors and student members in the more than 300 chapters in 7 countries is a daunting responsibility. I am their voice and link with the policy and decision-making Board of Directors. And I take that responsibility very seriously. So if you are ever invited to become a Golden Key member in recognition of your academic achievement as a student; to become an honorary member because of your status in, and contributions to, your community; or to become a corporate sponsor because of your involvement with potential employees through internships and scholarships do not hesitate to say YES as I did sixteen years ago. Just like my marriage, I have not regretted a single day of my association with Golden Key and you won’t either. Cecilia Manrique is a Professor of Political Science at the University of Wisconsin-La Crosse. She lives in Winona with her husband, Gabriel, who is the Interim Dean of the College of Business at Winona State University. They have two children, Patrick and Michelle. Patrick served with the 82nd Airborne and was deployed to the Gulf Coast in September 2005, not in 2004.